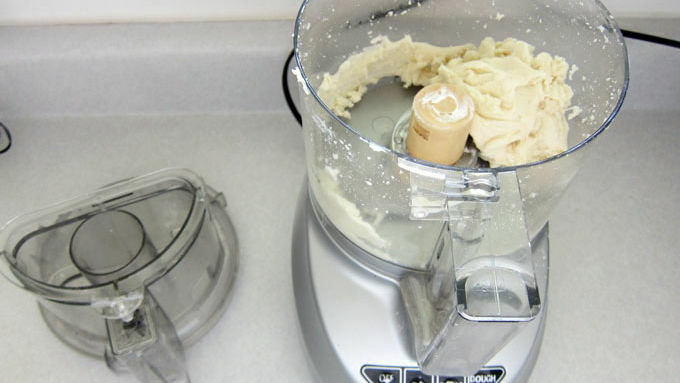 Combine butter, powdered sugar, cream, and vanilla extract in the bowl of a food processor or in a mixing bowl. Mix until it comes together into a ball. Knead in extra powdered sugar if needed until dough is smooth and no longer sticky. Dust a non-stick silicone mat or a smooth cutting board with powdered sugar. Roll candy out into a 7- x 4-inch rectangle about 3/8-inch thick. Cut in half lengthwise, then cut into 14 x 2-inch rectangles. Refrigerate for 20 minutes. Remove and separate the rectangles. Cut one end of each rectangle into a curved edge and flatten just a bit to create a Creamsicle™ shape. 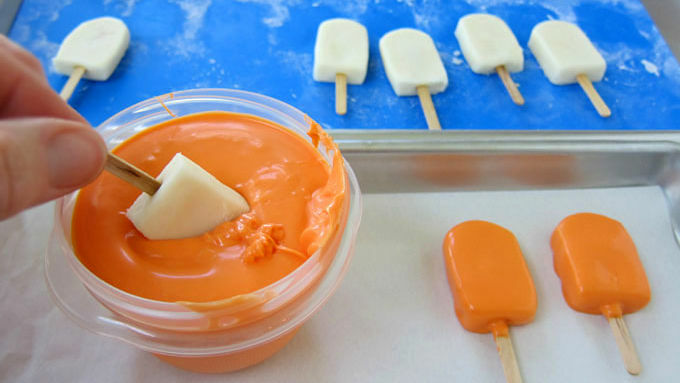 Rework the scraps and make two more Creamsicle™ candies. 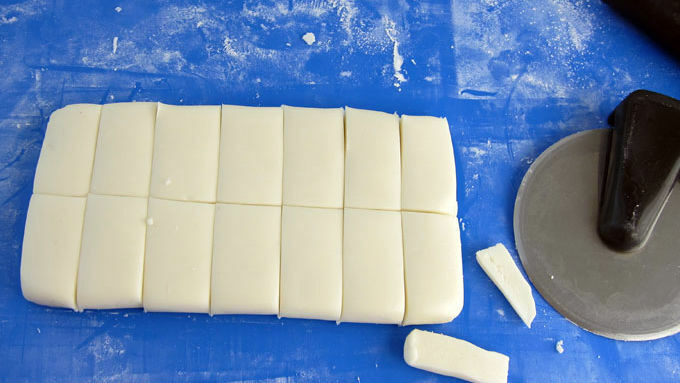 Allow the pieces to dry for 1 hour, then flip over and allow them to dry for another hour. Cut small wooden craft sticks in half, making sure the edges are smooth. 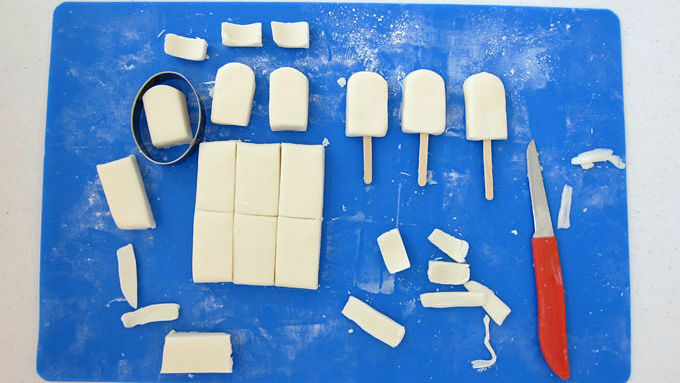 Insert the cut end of a craft stick into the flat edge of a vanilla cream candy. Repeat. Pour orange confectionery coating wafers into a microwave safe bowl. Heat on high for 30-second increments, stirring after each, until melted. Stir in orange oil. Dip vanilla cream candies in the melted orange candy coating, then set on a parchment-lined baking sheet. Pop in the freezer until candy hardens, about 5 minutes. Remove and let them get to room temperature before serving. If candy coating is too thick, add a small amount of paramount crystals or shortening to thin it out. 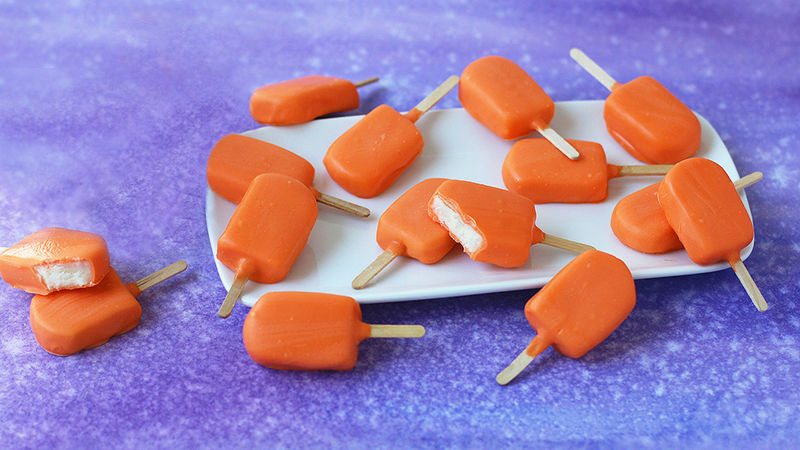 If you’re a fan of orange Creamsicles™ and love sweet treats, these cute little candy pops are perfect for you! Each tiny pop has a creamy vanilla candy center and is coated in orange-flavored candy coating. 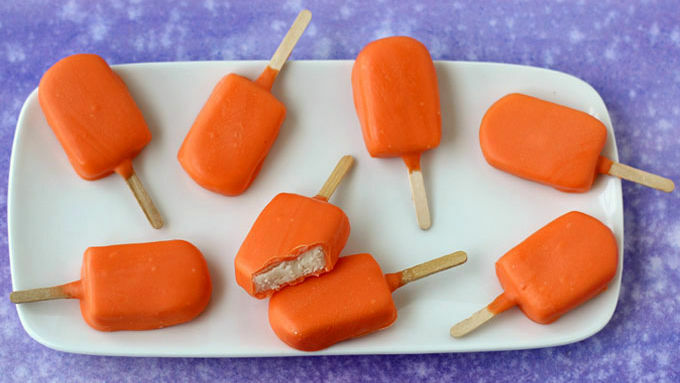 They look and taste like a Creamsicle™, but they’re bite-sized and don't have to be kept in the freezer. This recipe for these fun sweets was inspired by Elizabeth LaBau's Orange Creamsicle™ Patties recipe. 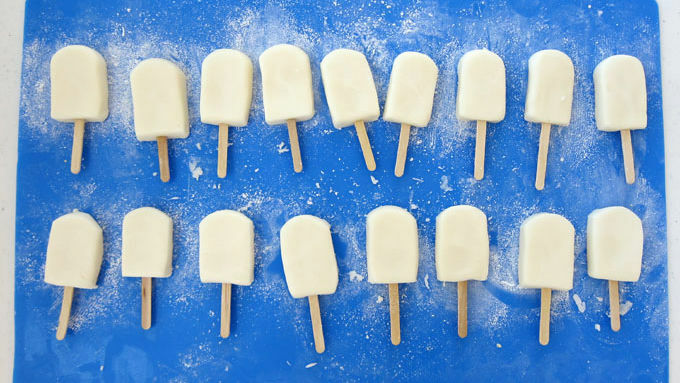 To create these pops, you first need to make some vanilla cream candy. It's super simple to do. Tip: If candy coating is too thick, add a small amount of paramount crystals or shortening to thin it out. Allow the candies to get to room temperature before serving.